(CN) – When the University of California, Davis, released its annual State of the Lake Report this month it broached an unusual topic. The report that delves into the health of Lake Tahoe typically focuses on water quality issues that affect the famed and peerless clarity of the largest alpine lake in North America. But this year, scientists and researchers cast an eye toward the forests that surround Lake Tahoe, noting an increasing presence of brown, desiccated and dying trees. 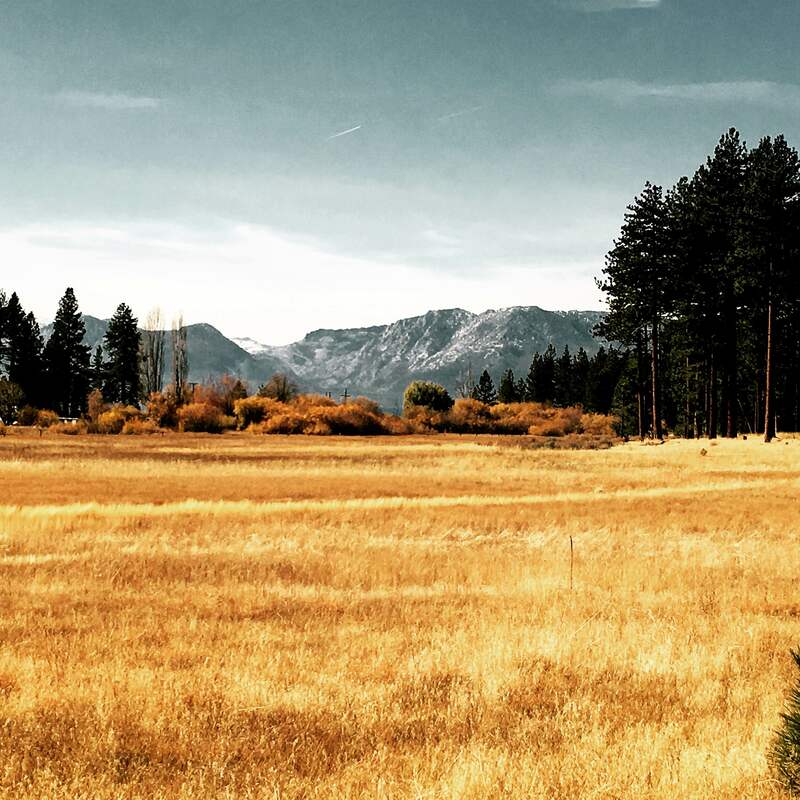 Large swaths of the stately pines of the Lake Tahoe Basin have turned brown. Dying and dead trees intermingle with the otherwise healthy coniferous forest, the signs of enduring years of a sustained and deep drought. “Tree mortality in Tahoe has become evident in the last two or three years, but this year it was through the roof,” said Geoffrey Schladow, director of the Tahoe Environmental Research Center. Schladow said the problem isn’t mere cosmetics, but will cause ecological issues as well. Residents and visitors to the Tahoe Basin may have just begun to notice the strain on the forest created by a 5-year drought, extreme in both intensity and duration. Compounding the problem is an ill-timed explosion in the population of bark beetles, which move into a drought-stressed tree to finish the job. But while Tahoe’s problem is just manifesting, the southern stretches of the Sierra Nevada have been devastated. The U.S. Forest Service estimates that more than 102 million trees have died in California forests since 2010. More than half the deaths occurred in the last year alone. Most agree on the two primary factors in tree mortality – drought and insects. But scientists, policymakers and forest managers debate whether decades of fire suppression in the Sierra, in the interest of protecting private property, has rendered the forests of California’s most prominent mountain range overcrowded, unhealthy and prone to catastrophe. Increasingly, experts wonder whether the policy of fire suppression in California forests, as carried out by both federal and state forest management agencies, is too expensive, dangerous for firefighters and residents and bad for ecological health. Malcolm North has published several scientific studies that discuss the unnatural density of the forests, which makes them more prone to catastrophic wildland fires and more susceptible to water scarcity and drought. “The lack of fire in forest systems is the real cause of tree instability and a lack of forest health,” North said. The ecologist said there is increasing recognition among government institutions and forest management agencies that the fire suppression techniques they have been relying on for the better part of a century should be reconsidered. Dave Fournier, natural resources staff officer for the Tahoe National Forest said fire suppression has caused an unnatural condition for the forest. There are increasing calls among foresters, ecologists and natural resource managers to allow fire to naturally occur in forests that have evolved over thousands of years to handle it. Those in charge of the California and U.S. Forest Service budgets appear particularly receptive to such calls, since wildland fights costs have escalated sharply in the last few years. In the 2015-2016 fiscal year, firefighting accounted for 60 percent of the forest service budget, Fournier said. “It means we don’t get to do as much as we used to in terms of research, forest restoration projects – things like reducing the bark beetle infestation don’t happen to the extent that they could,” Fournier said. A 2015 study issued by the forest service also made the case fighting fires in the wildland was growing too expensive. The problem is not unique to the forest service, as California taxpayers spend anywhere from $100 million to $600 million annually fighting fires in the Golden State, eating up an increasingly significant portion of Cal Fire’s budget every year. Gov. Jerry Brown, who proposed an allocation of about $180 million for fire suppression in the 2017-2018 fiscal year, mentioned the specter of tree mortality in his proposed budget. “These dead and dying trees make forests more susceptible to destructive wildfires and pose public safety risks from falling trees for residents and infrastructure in rural, forested communities,” Brown wrote in the budget proposal. Along with the cost in financial resources for government agencies, there is a human cost as firefighter injuries and fatalities continue to mount. In June 2013, 19 of the Granite City Hotshots perished in the Yarnell Hill Fire which burned several thousand acres in the central Arizona – making it the deadliest fire for firefighters in 80 years. A total of 15 firefighters died in 2016 due to various incidents connected to wildland fires, and fatalities between 2007 and 2017 total 155, according to the National Interagency Fire Center. While the danger and expense of firefighting is very real, impediments to reintroducing fire to the Sierra forest persist. Fournier understands the public pressures all too well, as the forest service bear the brunt of criticism when wildland fires reach into communities – as in the case of the Angora Fire. The 2007 Angora Fire ripped through neighborhoods in South Lake Tahoe, eventually destroying about 240 residences and nearly 70 commercial structures and causing millions of dollars in damage. An even worse incident occurred in 1991: the East Bay Hills Fire killed 25 people and injured 150 more, burned 2,800 homes and about 430 apartment complexes and condominiums. The fire came with a hefty price tag too, at $1.5 billion. The forest manager said fire agencies must balance ecological integrity with other social and economic factors, including resident safety. However, he acknowledged the government is willing to reconsider the approach to remote fires. In Montana, Idaho and other western states less populated than California, resource managers often let fires burn and monitor them by helicopter. California’s more populated forests present their own difficulties, but North and other researchers have proposed nimbler management techniques. Forest managers could divide the forest into different management sections, with thinning and dedicated fire suppression near residential areas and a more laissez faire approach in remote parts of the forest. The forest service has yet to act on such proposals, but its own studies indicate the status quo is untenable. As opposed to fire, which has naturally occurred in Sierra forests for as long as they’ve existed, a tree mortality event like what’s occurring now is unnatural, more dangerous and will require a long, difficult recovery. And according to North, it’s not simply the quantity of dead trees, but the quality. Rather than small, weak trees being eliminated as in understory fires, the drought-addled and overly dense Sierra forests are losing large, old stately pines that are integral to the ecosystem. Meanwhile, the firs – smaller, drier and less resistant to fire – are flourishing, which bodes ill for the long-term health of the forest, particularly if forest managers have little choice but to reintroduce fire into the forest systems. Another problem with the current mortality event is that unlike fire, which thins the forest to allow the old large and fire-resistant trees to remain, large contiguous patches of forest are simply dying. “It’s just not characteristic of what you want,” North said. Sugar pine stands in Tahoe have been ravaged and the species that rely on those types of trees in particular are struggling. And the tree deaths also hurt Lake Tahoe’s many communities, which depend on tourist dollars to survive. While the region used to get an infusion of money from casino visitors and other types of travelers, today’s visitors are almost uniformly drawn to the region because of its natural aesthetics.